Its 73°F and Sunny Again in Vista, CA Home to some of the highest light levels in America. Clear skies and warm temperatures by day, with afternoons and nights cooled by light ocean breezes. 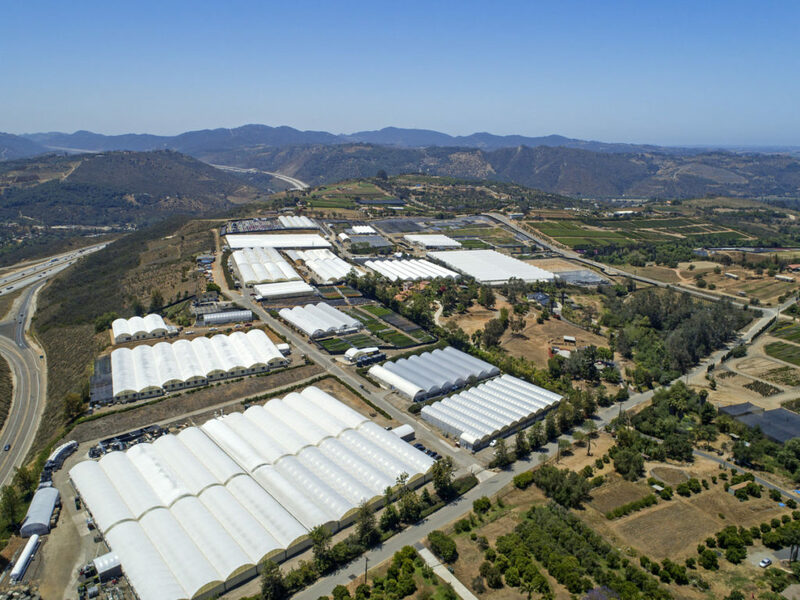 Our greenhouses are designed to maximize the year round sunshine we enjoy, allowing us to deliver toned young plants across the country. At Plug Connection Vista, we specialize in seed-grown annual and perennial plugs, organic vegetables and herbs, grafted vegetables and Tissue Culture raised liners. This facility is divided into a large number of zones that allow us to provide the ideal environment for a range of crops from the cool requirements of Cyclamen the the warmer needs of Vinca. Bonsall, CA- Travel a scenic 9-miles northeast Vista and you will reach Plug Connection Bonsall. 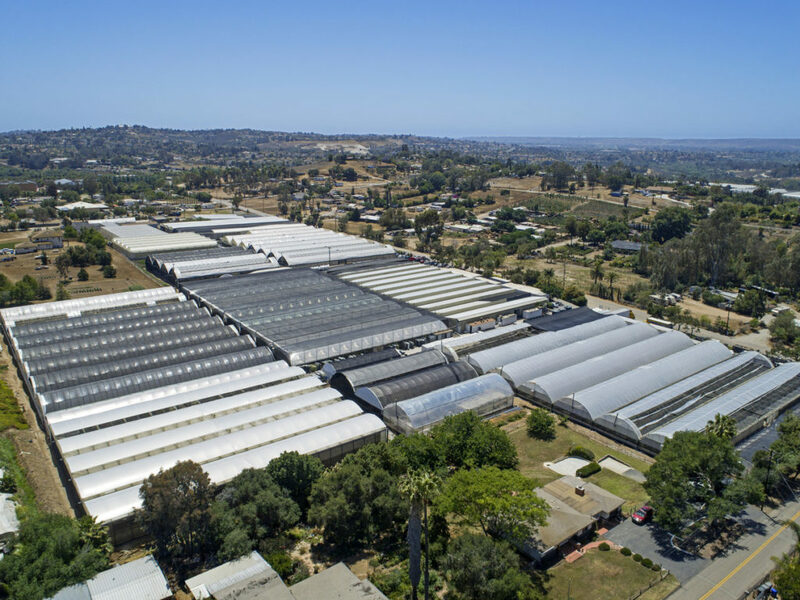 Still in the center of San Diego County’s agricultural heart, this nursery enjoys slightly warmer day temperatures, slightly cooler nights and some of the best light in the nation. Here we utilize clean, modern facilities and outdoor production space to grow and naturally tone vegetative liners. We have also devoted acreage to stock production. Items that are either difficult to grow, difficult to find or are unique to Plug Connection. Certified organic production. Plug Connection is proudly USDA Certified Organic by CCOF.